The first step in preparing for the SAT is knowing what to expect: what sections & types of questions it consists of, how much time you’ll have, and how it is scored. 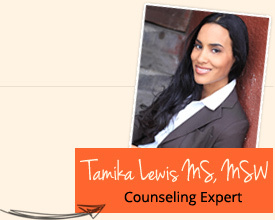 The SAT has three sections: Critical Reading, Mathematics, and Writing. In each section, there are three parts. Overall, there are three types of questions on the SAT: Multiple-choice, Essay, and Response Questions (found in the Mathematics section). 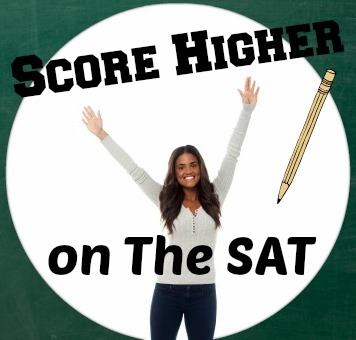 The highest possible score you can receive on the SAT is 2400 (though 1500 is the average score) and the test will take you under 4 hours to complete. This section tests your reading comprehension and vocabulary. Two parts of this section are 25 minutes long each and one part is 20 minutes. This section is feared by many but fear not, my friend! It only consists of material that you have covered while in high school, including: Numbers and operations, Algebra and functions, Geometry and measurement, and Data analysis, statistics, and probability. The first part of this section is 25 minutes and consists of multiple-choice questions. The second part is also 25 minutes and consists of both multiple-choice and grid-in questions. The third part is 20 minutes and consists of multiple-choice questions. This section tests your writing ability (grammar, sentence structure, and how to fix an awkward sentence) and consists of multiple-choice questions and an essay. The essay is based on a prompt and lasts only 25 minutes. Now that you have an idea of what to expect on the SAT, you can prepare by fine tuning the skills you have already learned. For example, think about how you go about writing an essay. First you get a topic (which will be provided to you on the SAT), then you brainstorm and make an outline, then you write. Now try to think about and practice doing this within a 25 minute time frame, as you would on the SAT. Brushing up on your reading comprehension is another helpful way to prepare for the SAT. Another simple way to prepare for the SAT is to by study common root words, prefixes, and suffixes. This will help build your vocabulary knowledge. Also, visiting your guidance counselor or local library are other free ways to get resources and prepare for the SAT. For the sake of actually retaining material (and for your sanity), do not attempt to cram shortly before you take the SAT. Preparation should begin months in advance, at least! This will also help you stress less when the test date comes around. Every time you catch yourself feeling stressed, remember that everyone feels this way. Every year college hopefuls take this same test and pass! Remember that you are not alone. Form a study group with your friends. This is a great way to encourage one another and approach the SAT with ease. To register for the SAT, visit College Board’s website! Once you have registered, begin your plan of action! These five strategies will help you prepare for the big day. If you study hard and believe in yourself, you will be successful! Best of luck! Have you already taken the SAT? How did you prepare? Share your experience (or helpful tips!) in the comments below.